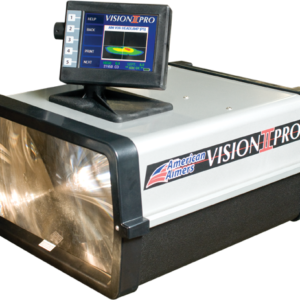 The Vision II Pro’s smart design makes it expandable for headlight algorithms of the future and for new hardware and software upgrades as they become available. 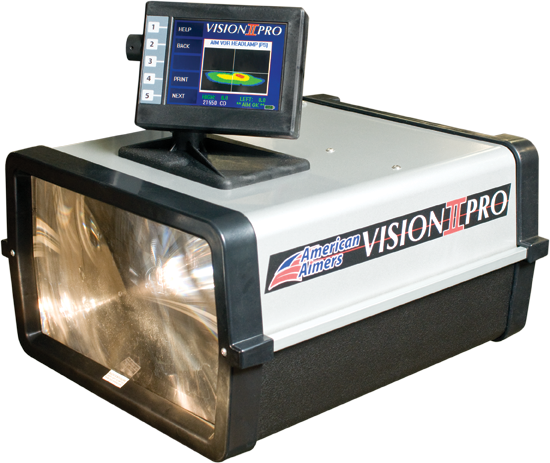 Engineered with speed, accuracy and quality in mind, the Vision II Pro will be a profitable investment for years to come. With VOL/VOR Headlight Aiming software. Includes: alignment track and Battery Charger. Approved for use in all State inspection programs including: Maryland, Virginia, North Carolina, Pennsylvania,Hawaii & California.